I’ve been driving the same highway just about everyday for the past two years and always had my eye on this place. The big neon sign and retro vibes pulled me in just strong enough to make me forget how creepy the place really is. 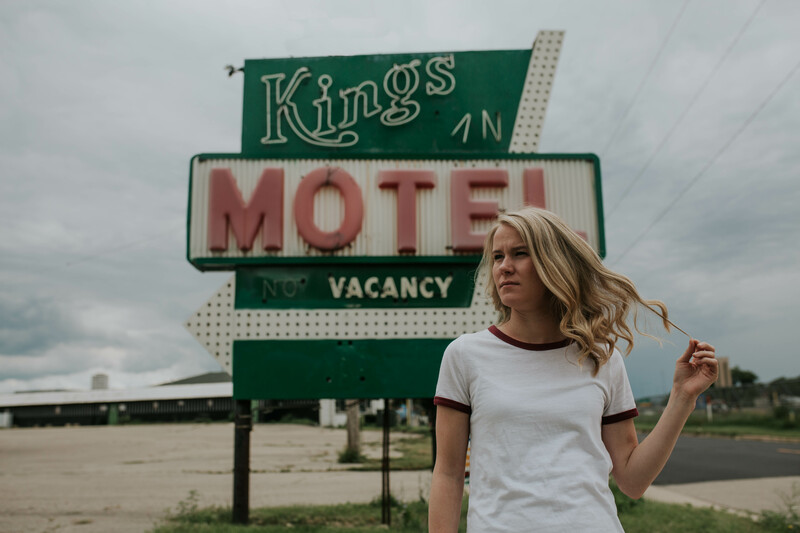 The King’s Inn is one of a handful of motels often referred to as the Heartbreak Motels. I’m just glad Kell read that article after taking the pictures…Sketchiness aside this place has a ton of character and made for a killer backdrop for our photos. Throw in a little sass and a skateboard I found in my trunk and boom, you have yourself a photoshoot.